At Kuras Dental Health Associates, delivering exceptional oral health care to our community is our top priority. We could not succeed in achieving this goal without the support of our friends and neighbors in the Monroe area. 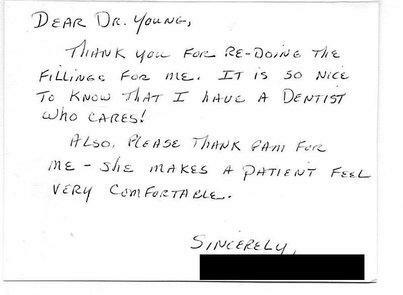 Please take a moment to read through some of the kind words our patients have shared about their experience with us, then give us a call so you can see for yourself the difference that a friendly, caring team can make to your oral health care. 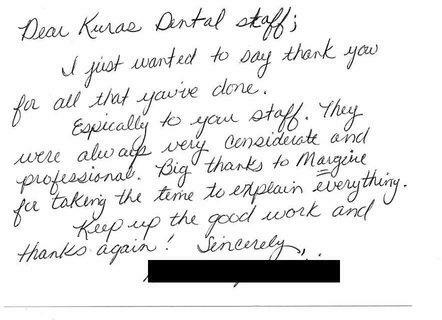 "The Kuras Dental Health Associates are the "Best"!!! 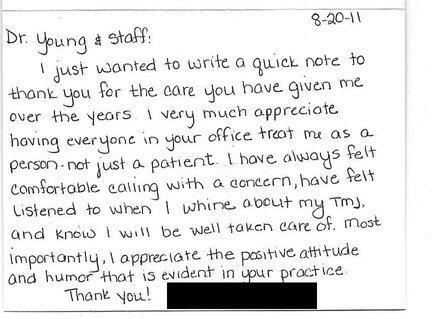 Very professional, very skilled and the entire office works as a team to make each of their patients feel relieved and welcomed. 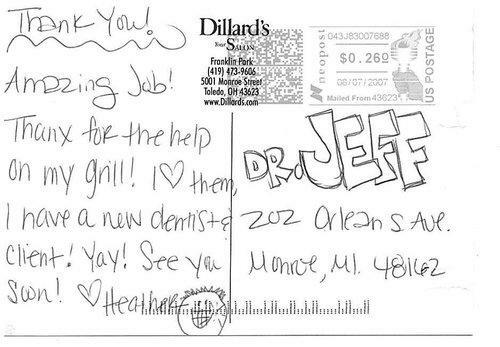 It's a pleasure to have them available to assist in my dental health care." 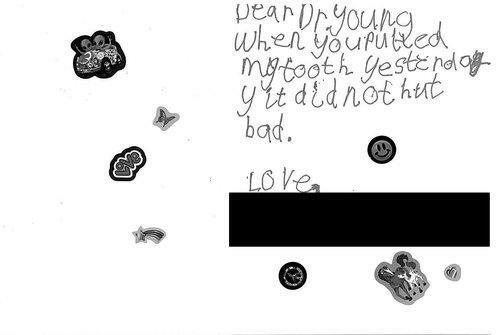 "I used to hate going to the dentist. Not anymore. Kuras provides a GREAT experience! Super people work there. Great customer service! No stress. No pain. And great suggestions to improve your oral health! 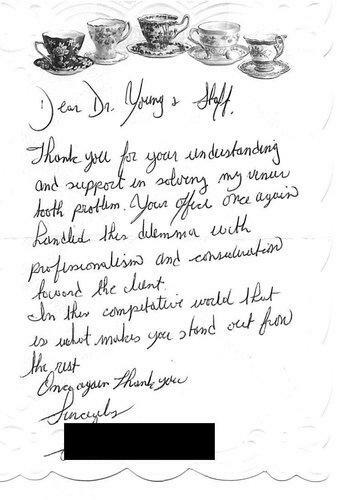 - Anne B.
Virginia has been coming to Dr. Young for about 15 years and decided to get veneers to correct her crooked front teeth. "Once I got them I was very happy with them." 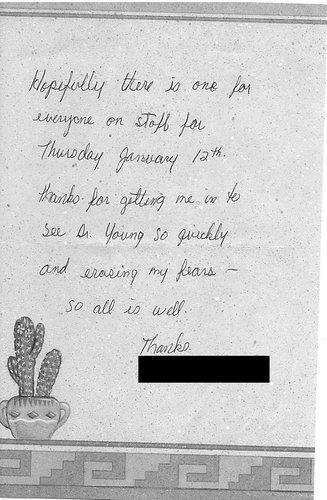 One year later Dr. Young showed Virginia how her teeth looked before and she was amazed at how much better her teeth looked now. 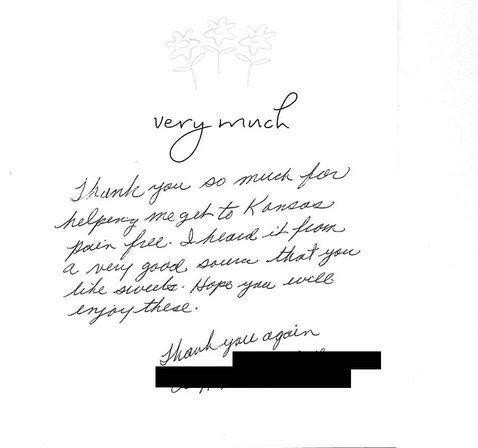 Gerald is a brand new patient of Dr. Kuras and is "extremely happy with the service he gets". Appreciates the old time care he gets rather than feeling like he is in an assembly line. 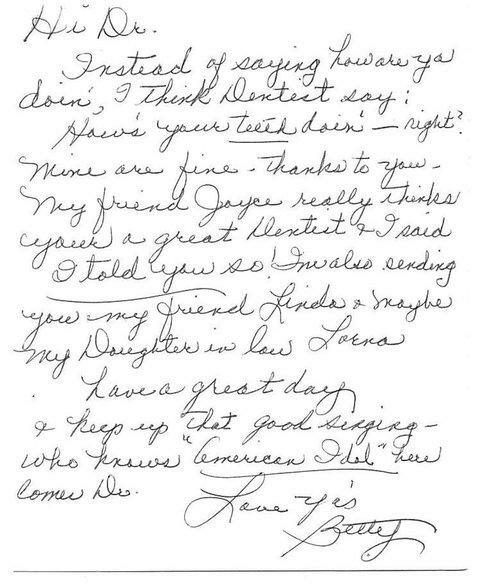 "I've been a patient at Kuras Dental my entire life. I have had an occlusal guard for 23 years yet have damaged my front teeth enough to need work done on them to reshape them. Dr. Young suggested trying composite to reconstruct my smile. My result has been very pleasing. 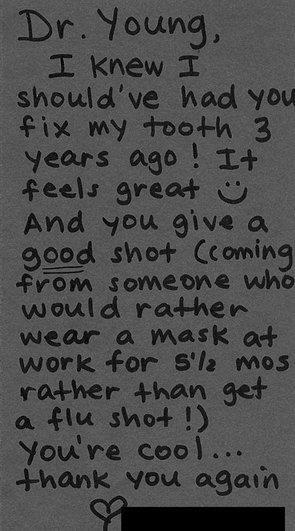 My smile has returned, thanks to the professional staff at Kuras Dental!" 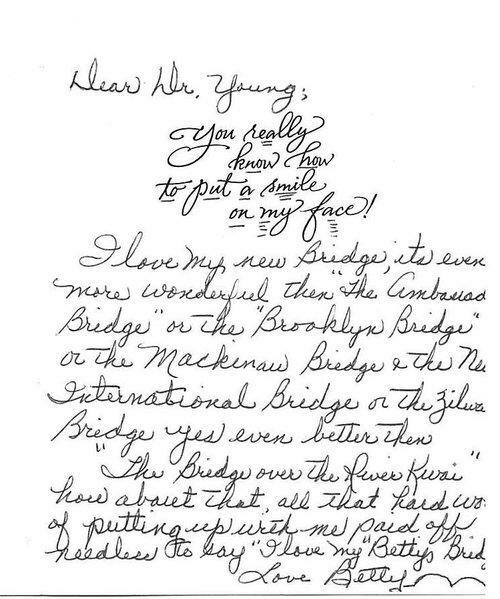 "I have been going to Kuras Dental for the past several years under the care of Dr. Young. 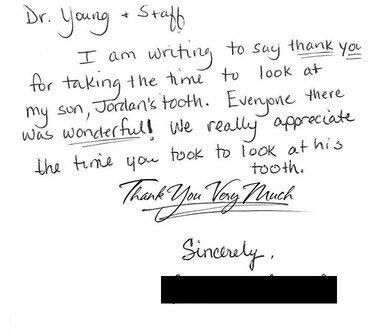 They are completely professional and easy to talk to about dental care. I had my veneers and other work done there over the past couple of years and could not ask for better results or follow up care by the staff. The entire team from the office staff to the Dental hygienists are polite, knowledgeable, and also approachable with concerns about your dental care needs. 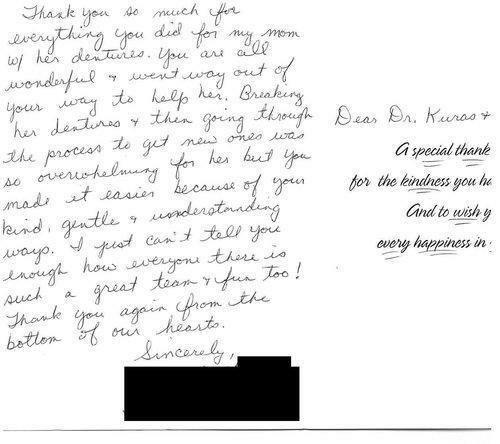 I will continue to visit the Kuras Dental family and look forward to their exceptional customer care. I feel more like a friend or family member when here instead of just a patient. 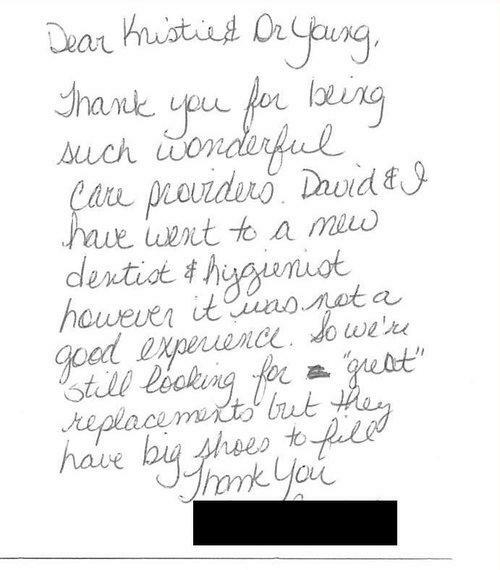 After all the years of dreading the dental offices, now I can honestly say it is something I actually can say is enjoyable knowing I am in the best care of Dental professionals around... Thanks.... Stace P"